Michelle Roy from Schaumburg, IL became interested in development work at 16 after she traveled to El Salvador. After witnessing problems associated with an inadequate water supply, she decided to pursue a career in Civil Engineering with the hopes to help alleviate this problem. Michelle received her Bachelor’s in Civil Engineering and a minor in Spanish from Valparaiso University in 2012. Always striving to make an impact, she served as president of the university’s Engineers without Borders Student chapter and traveled to Tanzania to help repair an irrigation canal. She also spent a summer in Peru fabricating and distributing water filters. As part of the Master's International program, Michelle served three years with the Peace Corps in rural Panama. 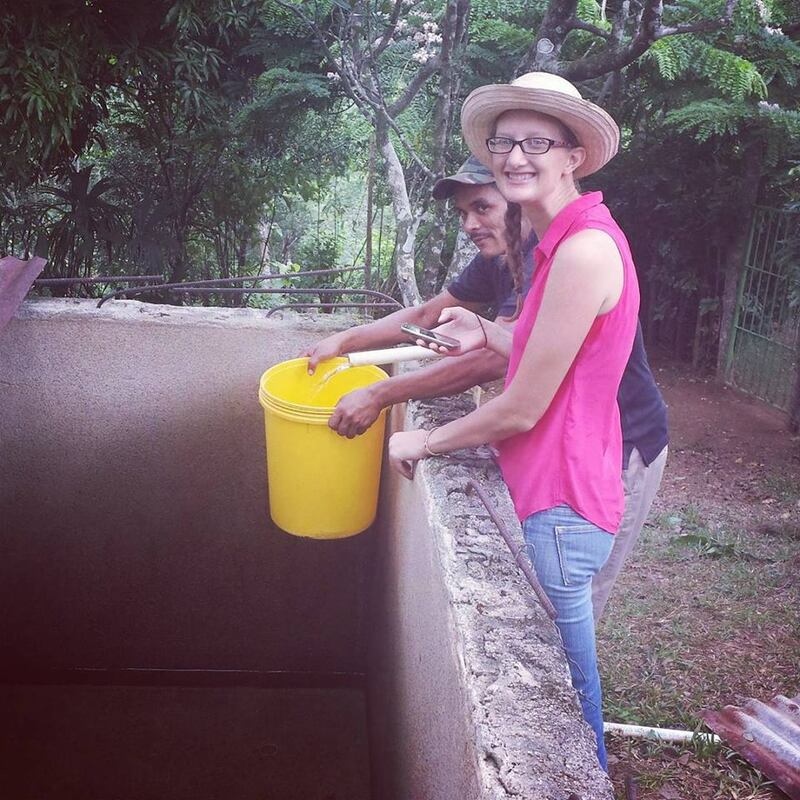 Partnering with community members, she analyzed their water needs and implemented the necessary repairs to the gravity-fed water distribution system. When she was not overseeing the construction of the new 6,000-gallon water tank or digging tranches to replace over 5 km of distribution line, Michelle enjoyed getting to know community members over coffee, weaving a traditional sombrero, and playing soccer. While she was excited that all the hard work provided a reliable water supply for 280 people, Michelle wanted to ensure the system’s sustainability. For her research thesis, she investigated how houses added to the system would affect its sustainability and how the community could size flow reducers to ensure a continued equal distribution of flow. Ultimately, she created a map and instructions for her community to help them as the system expanded and guidelines for other volunteers to do the same. After an amazing experience in Panama, Michelle hopes to continue working in development engineering and is seeking work that enables her to do so.